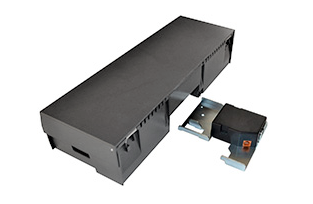 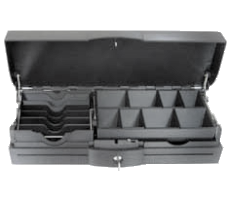 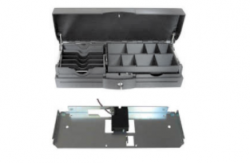 The Series E3900 Cassette Cash Drawer Series is designed to fit some of the most commonly used base plates and adapt readily to existing check-out furniture. 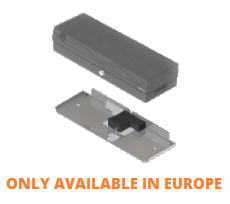 Tested beyond one million transactions, the E3900 series delivers uncompromising performance and quality focused on low cost of ownership, ease of use and speed through the checkout. 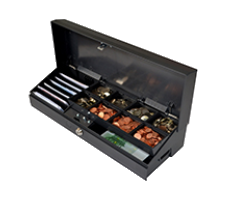 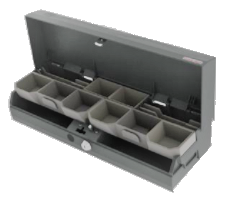 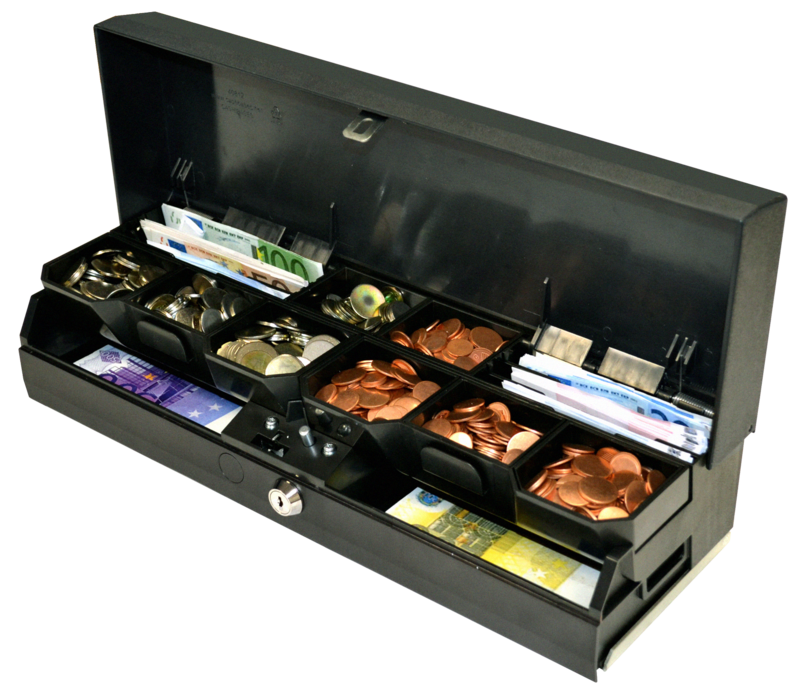 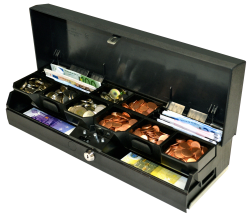 Removeable/weighable coin cups with capacities sized to Euro coin denominations and combines a high capacity insert tray with extensive media storage under the insert.